“Greetings, Starfighter! You have been recruited by the Star League to defend the frontier against Xur and the Kodan Armada.” So begins an adventure of galactic proportions in The Last Starfighter. 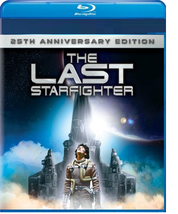 After Earthling Alex (Lance Guest) conquers the Starfighter video game, he is recruited by alien Centauri (Robert Preston) to be part of an elite legion of fighters. Leaving behind his trailer park home for the outer regions of space, Alex becomes the last hope for the beleaguered Star League and hundreds of worlds – including Earth. 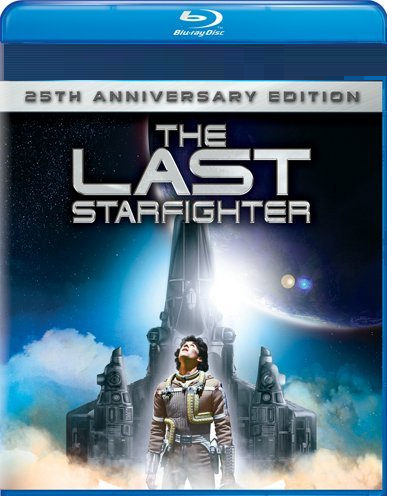 Loaded with out-of-this-world bonus features and digitally remastered for optimum picture quality, The Last Starfighter 25th Anniversary Edition is the ultimate video game fantasy come true!